At CodeChef, we constantly stay in touch with CCDSAP holders to make the experience better for you and to fine-tune the certification. We spoke to Avjot Singh, a CCDSAP Foundation Level Certificate holder who is placed at Cleartax as an Intern Software Developer. We asked him about his CCDSAP experience and his tips for aspiring candidates. What drew Avjot to coding? Pure interest! Avjot was actually studying at the Delhi Technological University to be an Electronics Engineer, but his career took a sharp left turn in his second year when when his interests expanded to include Artificial Intelligence and Machine Learning. As he learned more about these subjects, Avjot realised that he could be a better student of these disciplines by investing some time and energy into learning the basics of computer science. How did Avjot learn about the CCDSAP? In an effort to learn more about how he could strengthen his DSA skills, Avjot began some dedicated research on the subject. Soon enough his journey of internet research led him to CCDSAP and he knew it was the right path for him. Avjot didn’t know anybody who had taken the test, but he was confident in the CodeChef name and was happy with the detailed instructions and information he found about the certification. How did Avjot prepare for CCDSAP? Diligence and practice are the only secrets according to this young developer! He thoroughly studied the practice materials and explored the mock tests in order to prepare for the test. As a student with no previous background in computer science, he started readying himself for the test around two months before the exam and he recommends that candidates work on at least 5 problems a day. 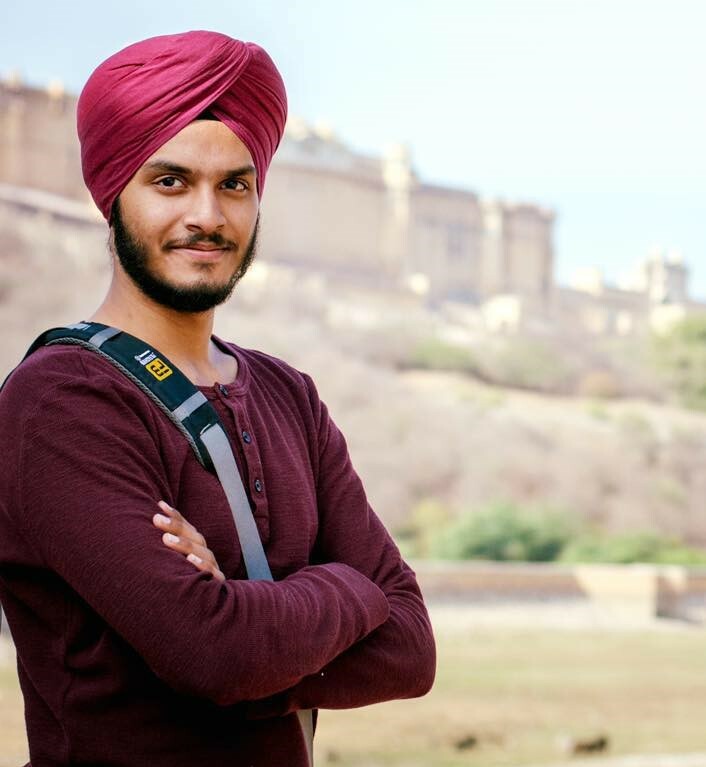 Avjot found himself sufficiently armed for the foundation level certificate exam after studying the materials provided, but his advice to anyone considering the advanced level is to venture out and find more problems and mock tests to work on. “Be confident in yourself, and be clear with the fundamentals before jumping straight into complex problems,” he said. Are the principles that Avjot studied for CCDSAP, useful in his new job? Avjot certainly thinks so! He had been impressed with the study materials before, from a learning perspective, but once he began his internship, the software development intern found that much of what he had studied and been tested on, could now be practically implemented into his day-to-day assignments and responsibilities. Avjot is now considering appearing for the advanced certificate exam to take his knowledge and abilities to the next level. The next CCDSAP exam takes place on the 20th of January. Check this link for details and get in touch if you have any questions for us! If anyone enrolled for the 31st march 2019 foundation exam would like to connect with me, please message via facebook. We can solve questions daily and discuss solutions/approach.